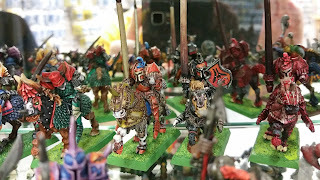 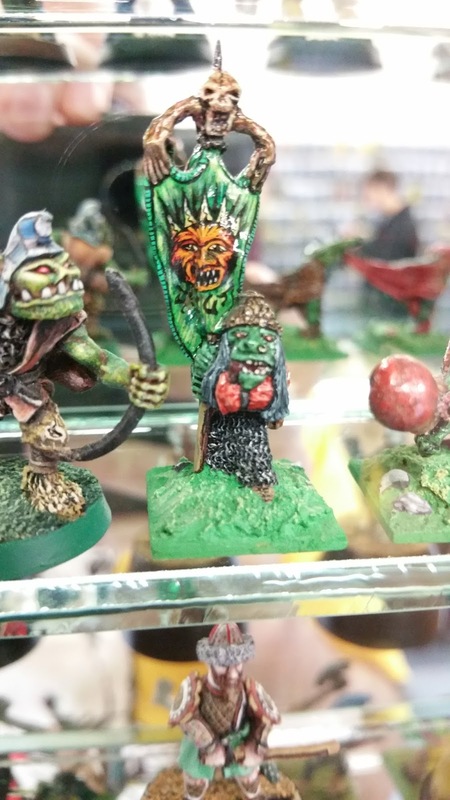 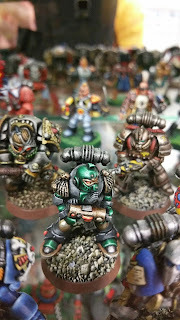 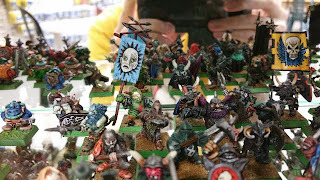 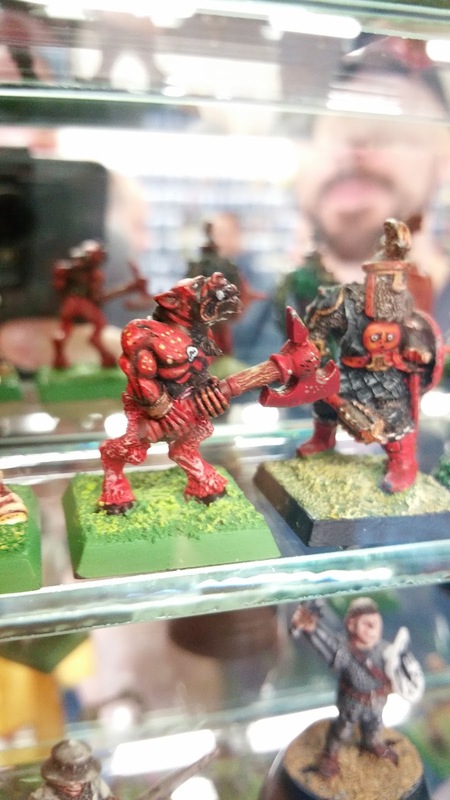 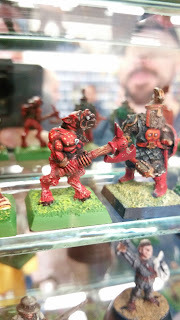 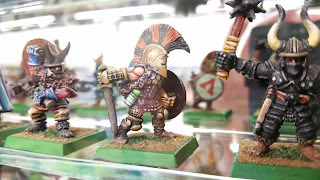 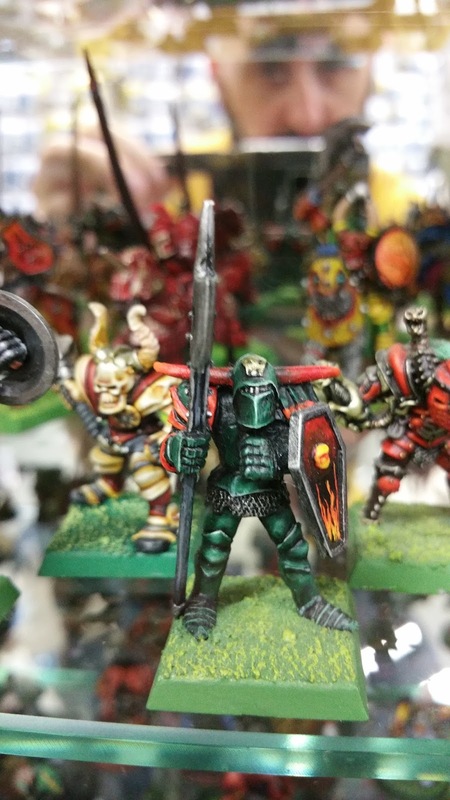 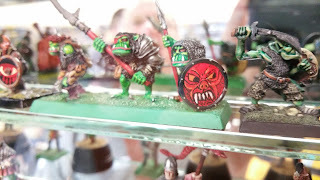 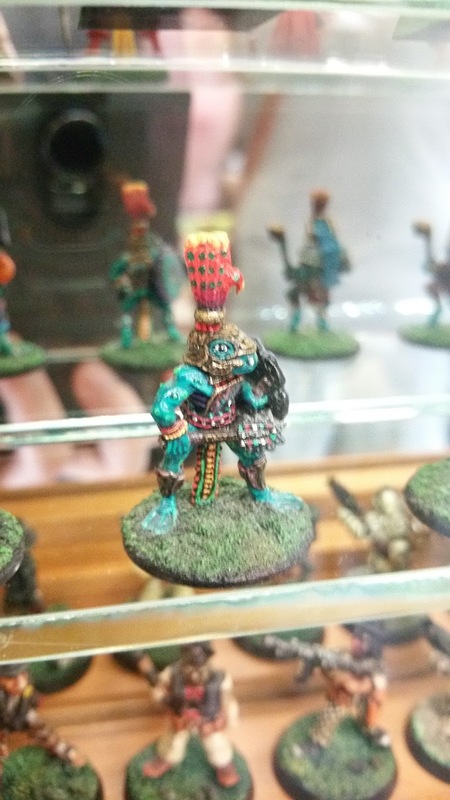 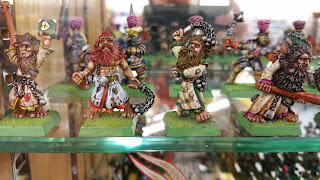 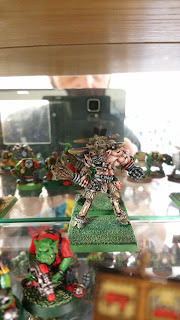 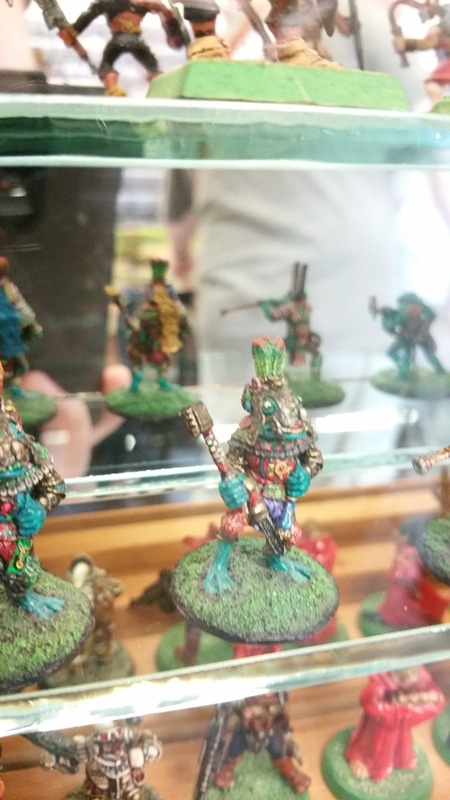 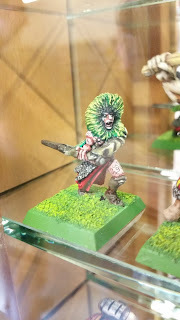 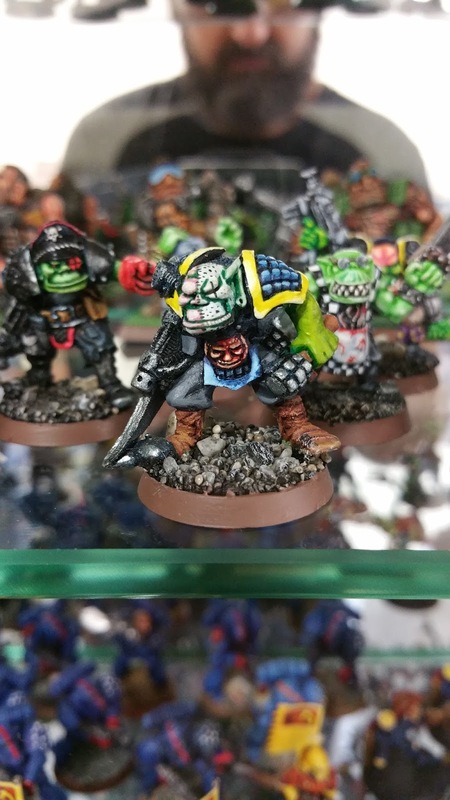 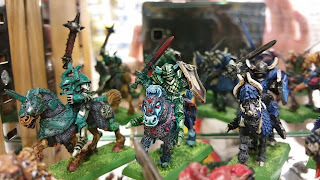 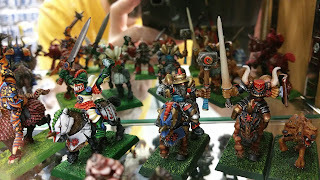 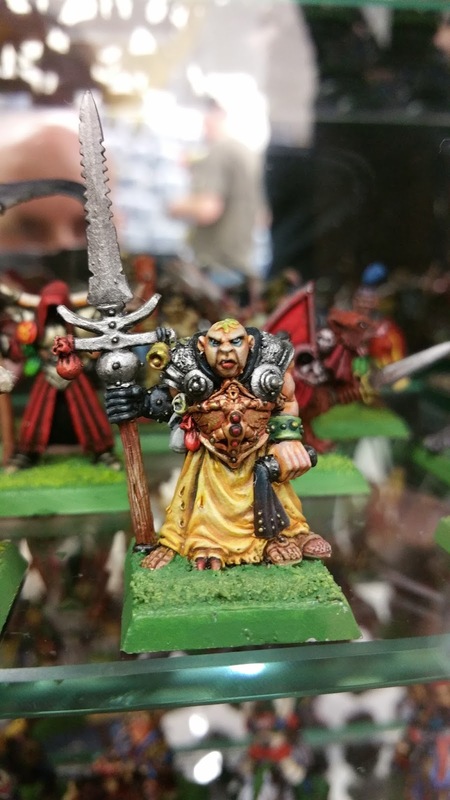 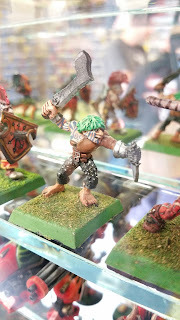 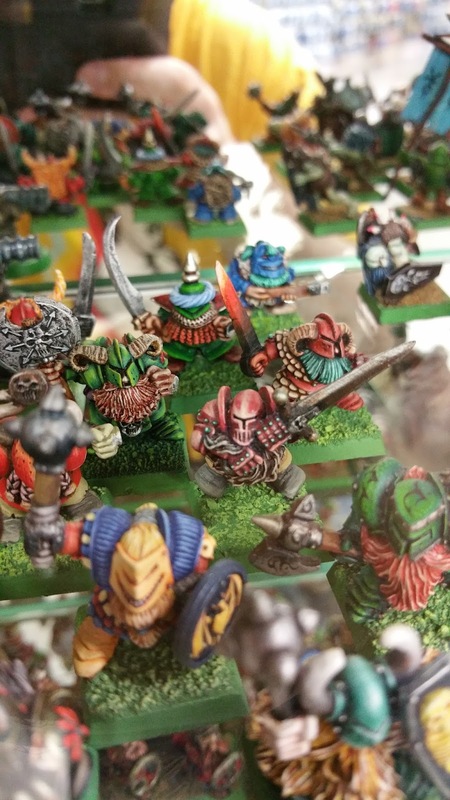 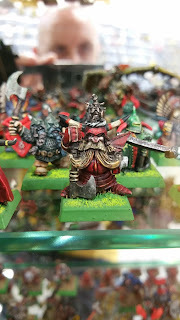 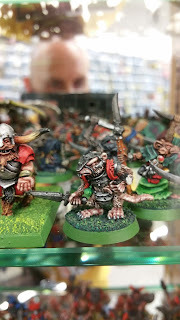 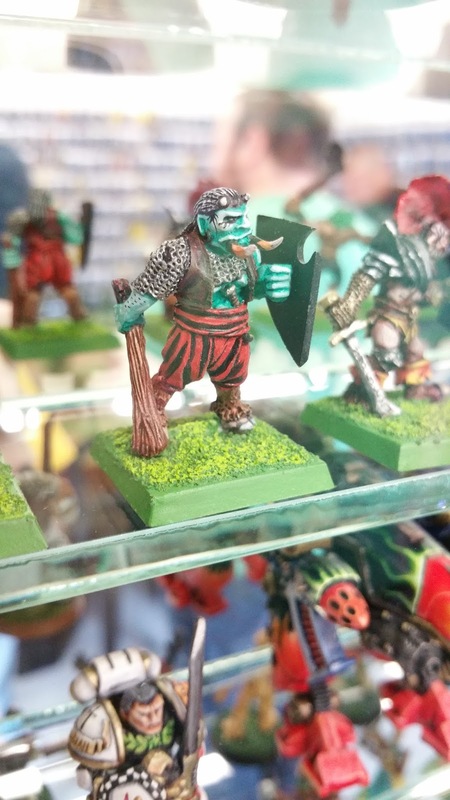 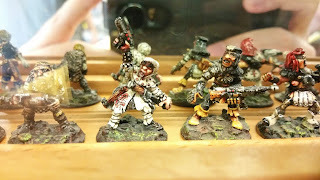 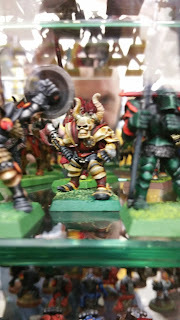 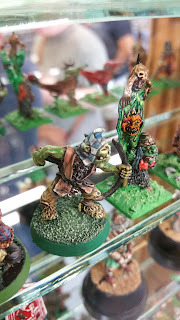 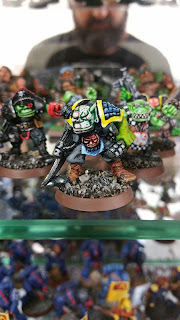 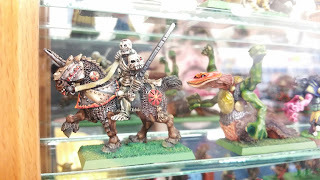 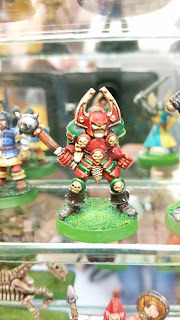 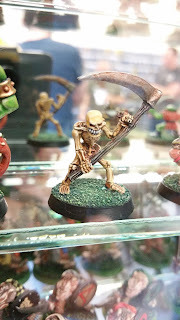 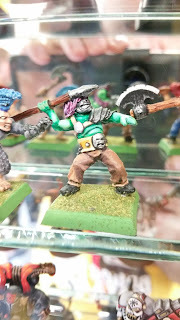 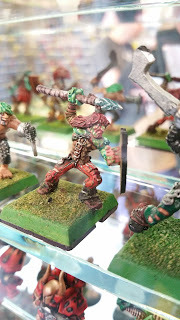 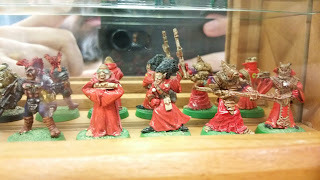 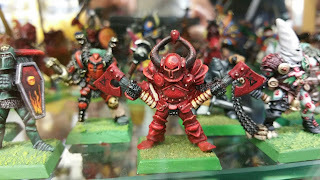 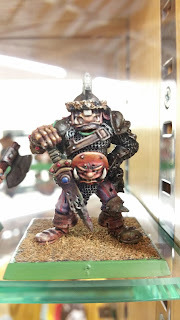 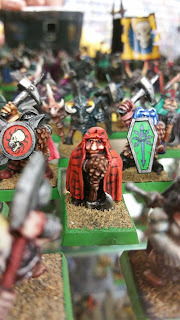 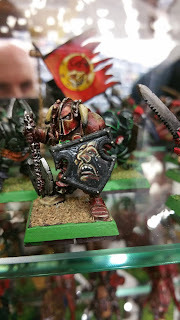 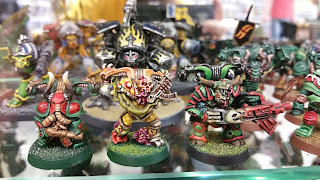 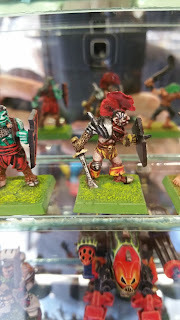 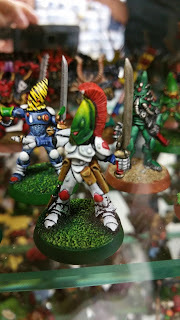 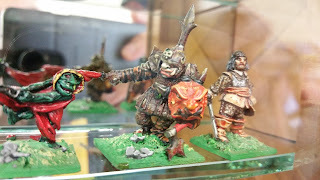 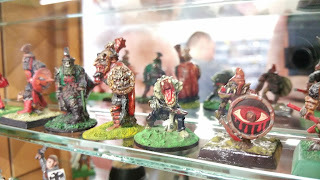 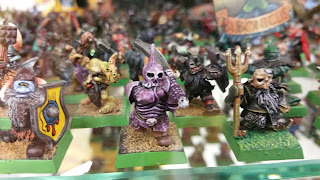 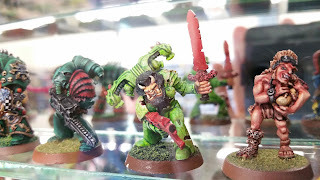 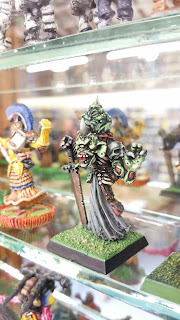 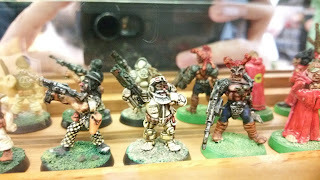 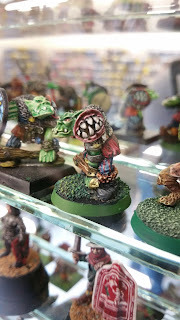 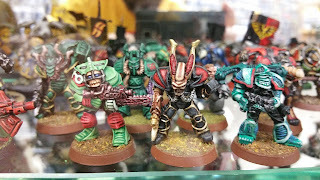 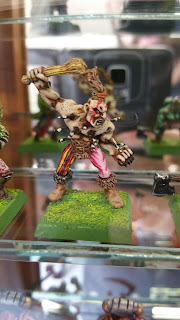 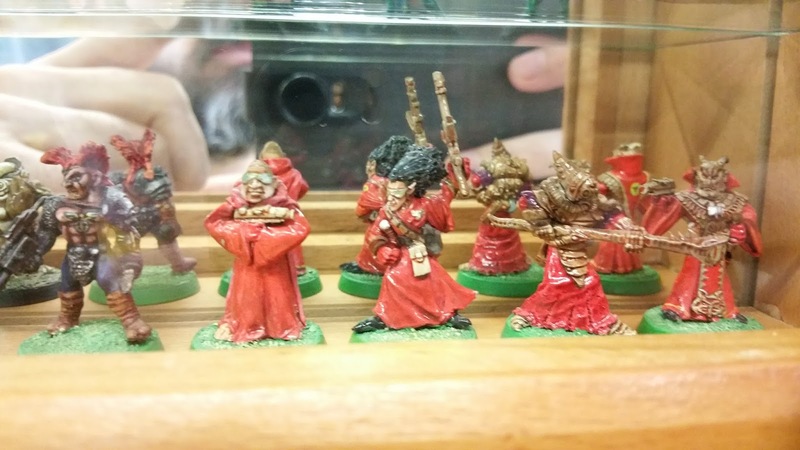 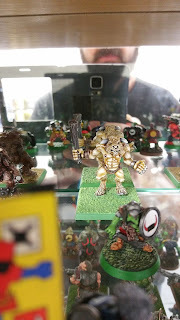 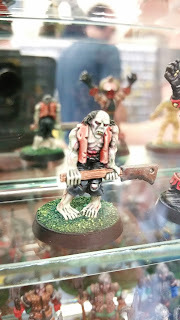 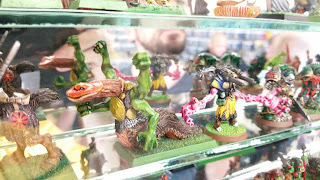 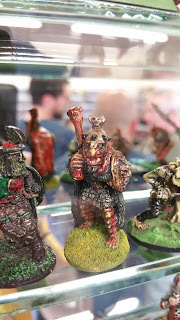 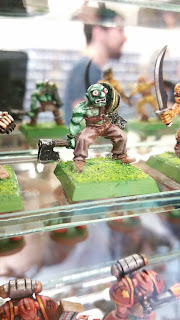 There were a lot more mini's on display, in a lot more cabinets, but they were from ranges that didn't interest me and or not WD oldschool cool enough. 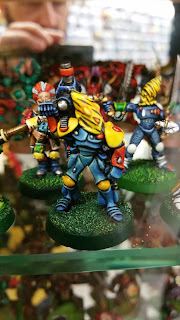 I'm still amazed about how we manage to discover new details and stuff on models we've been staring at for more than 25 years ! 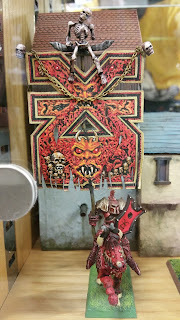 Yeah, I know right. Like that Tzeentch guy you spotted with the head canons. 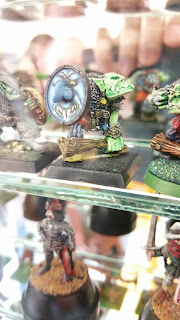 Never ever saw them coz the WD photo was taken head on. 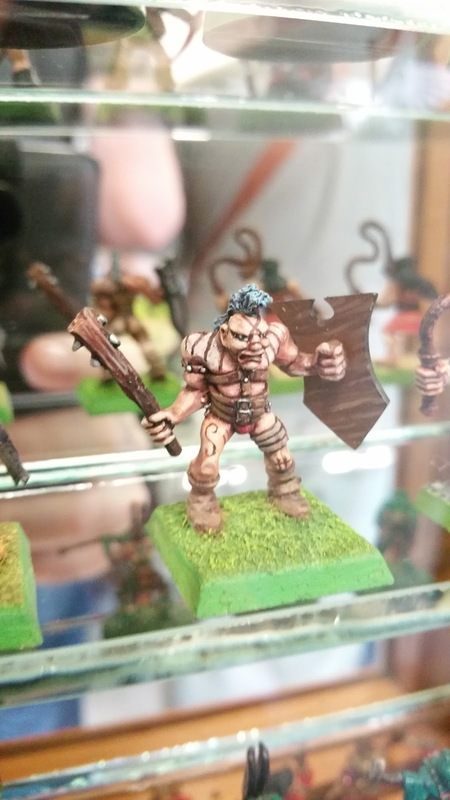 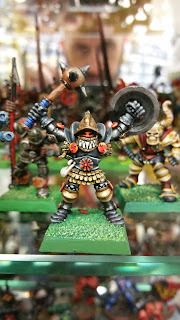 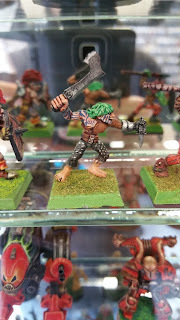 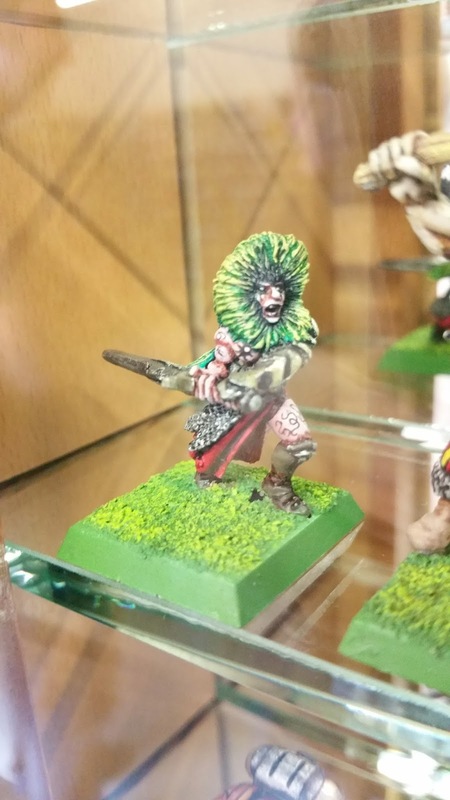 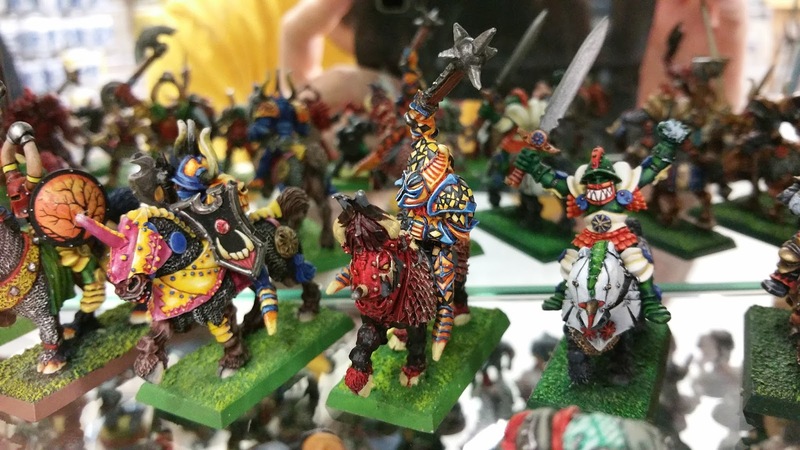 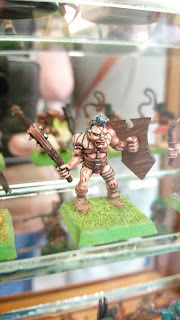 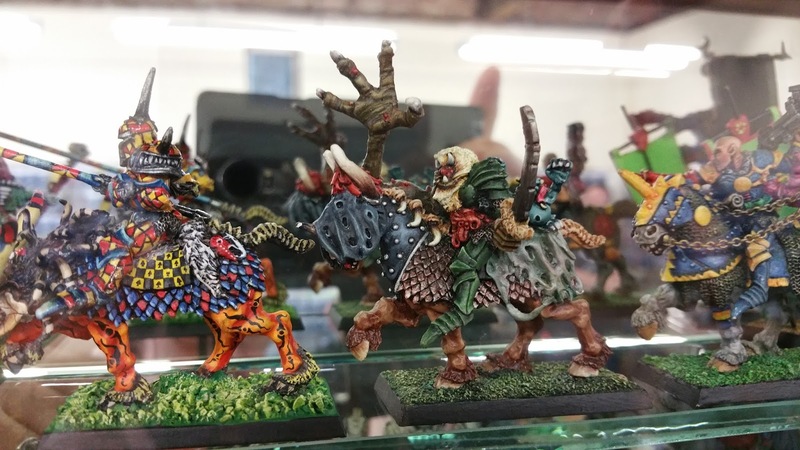 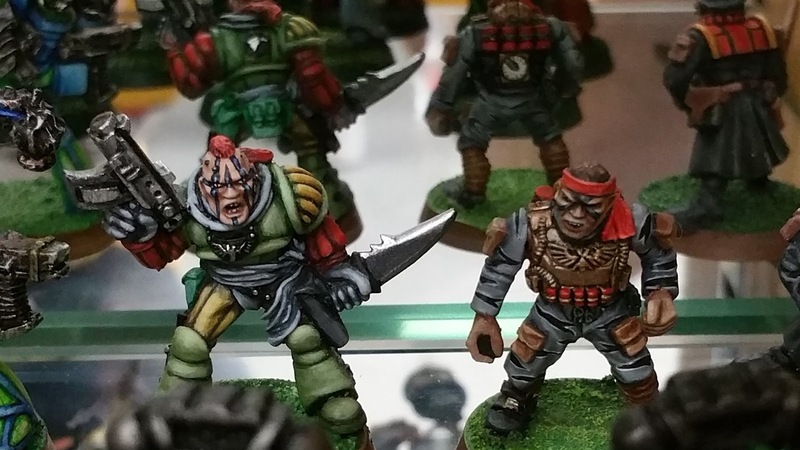 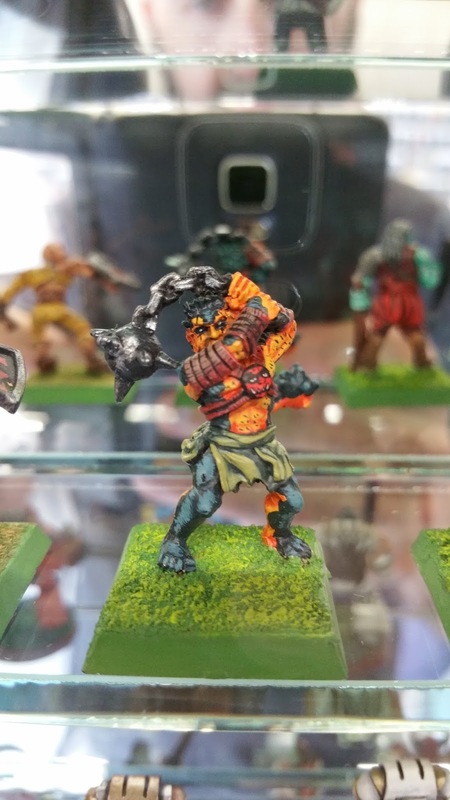 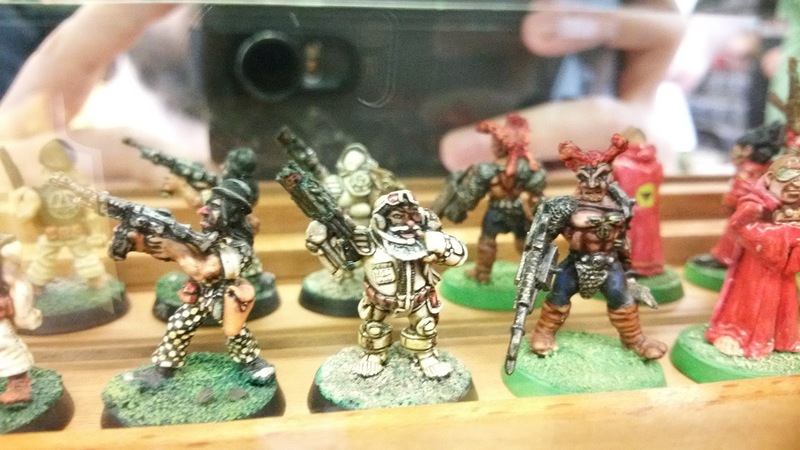 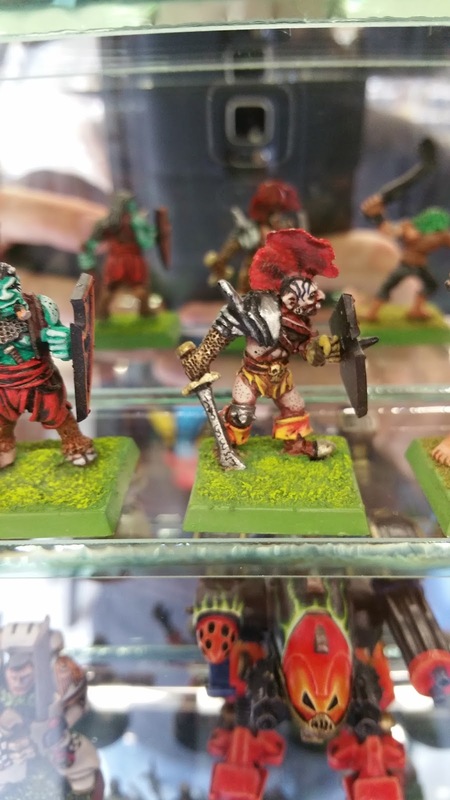 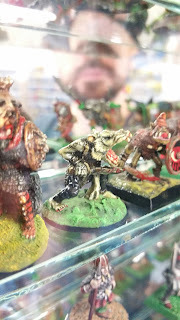 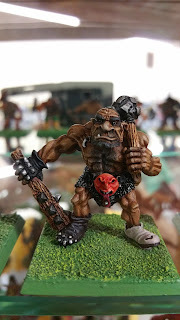 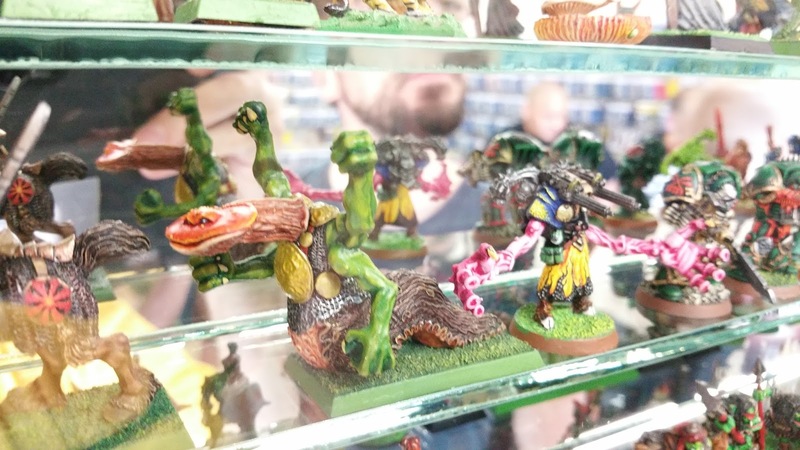 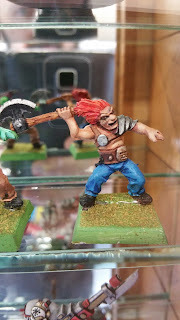 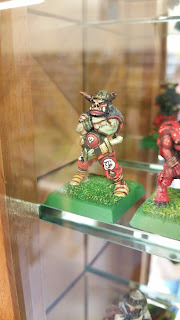 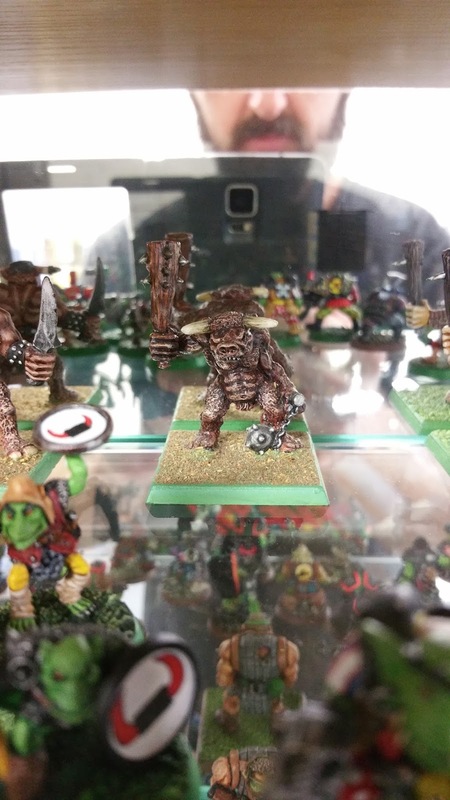 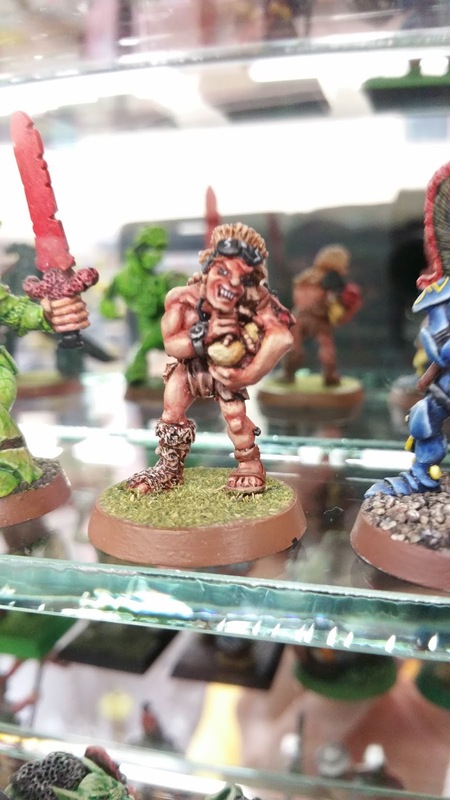 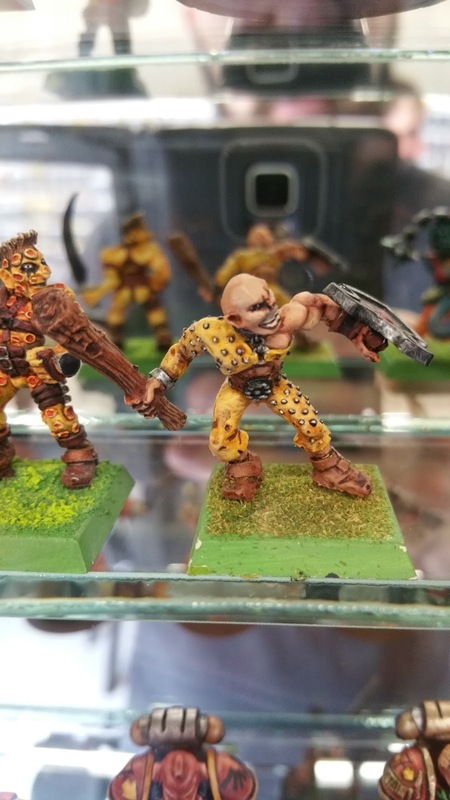 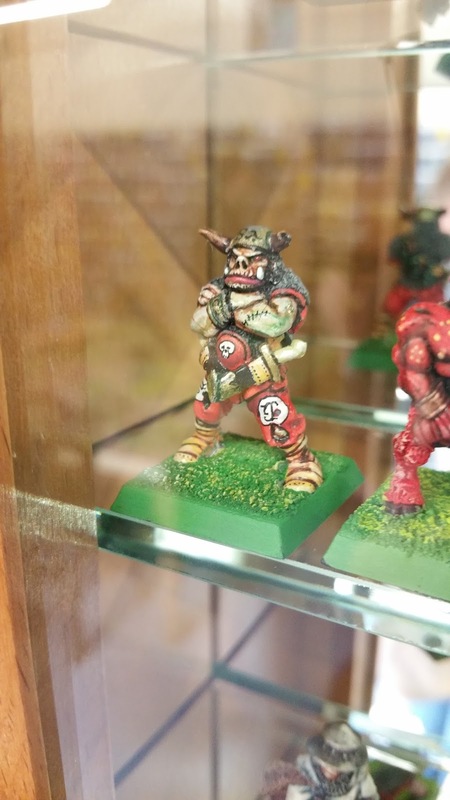 It really is a big kick seeing some of those miniatures in persons for the first time. 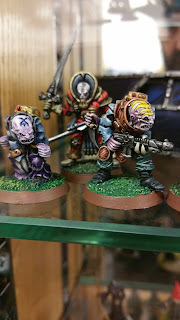 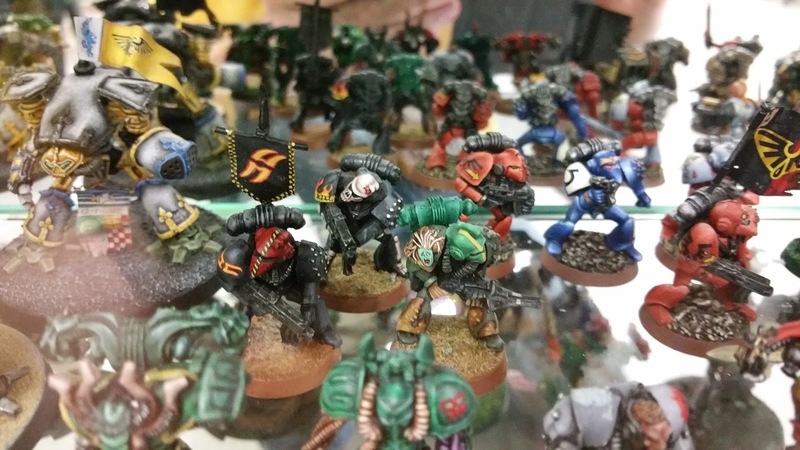 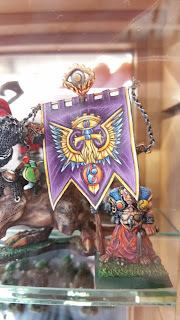 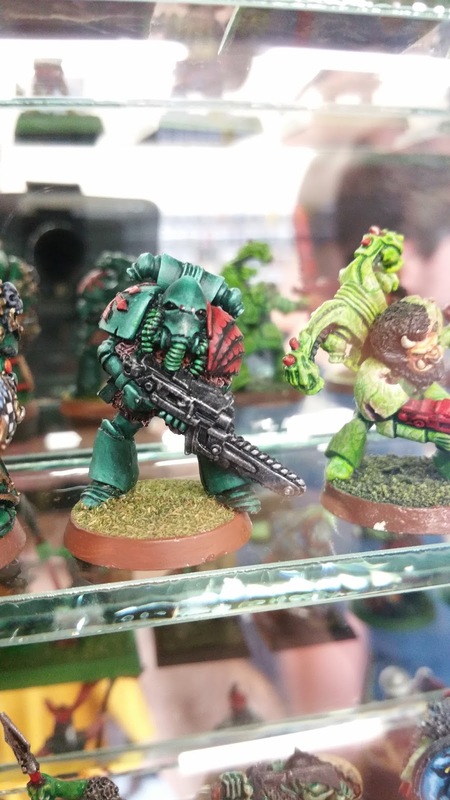 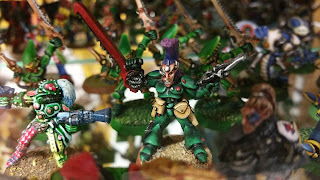 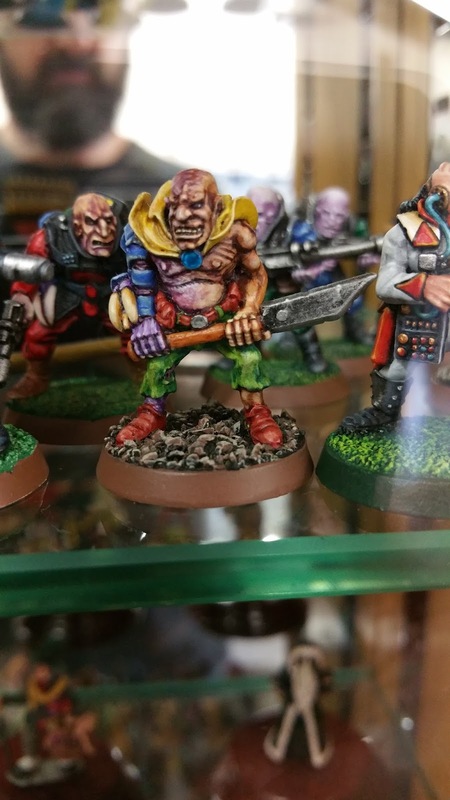 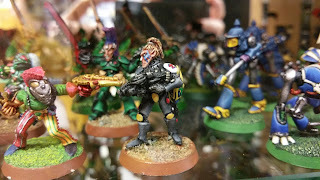 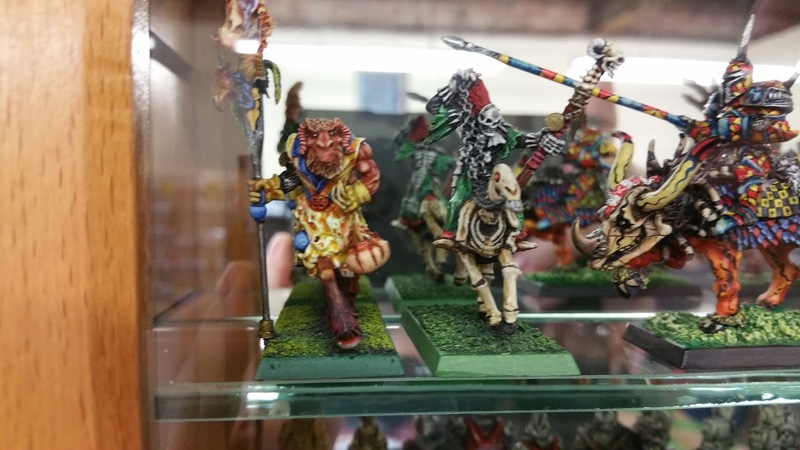 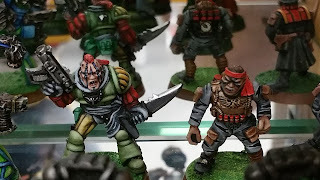 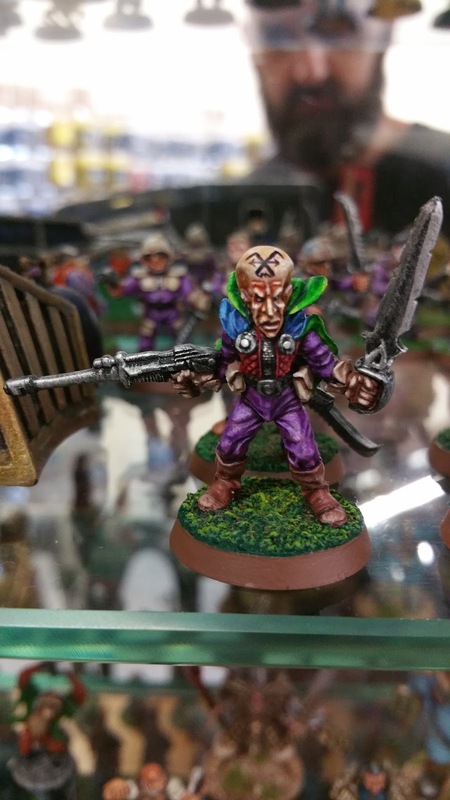 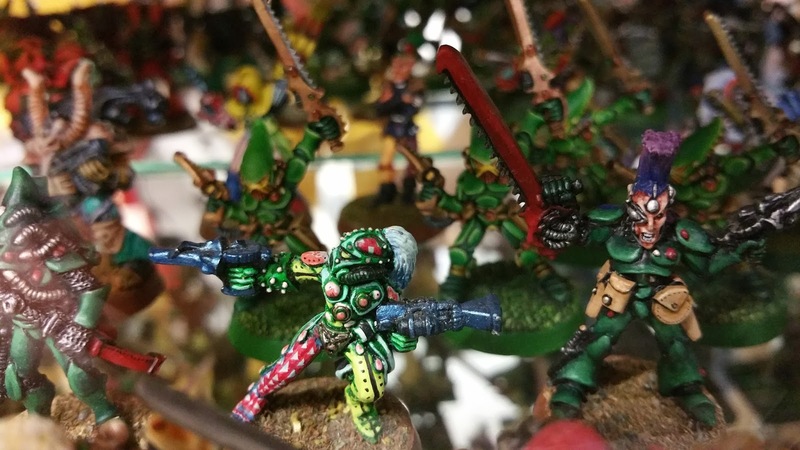 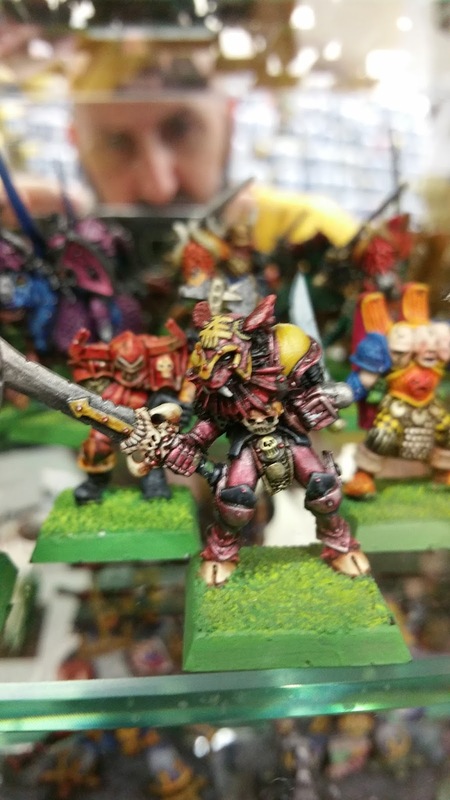 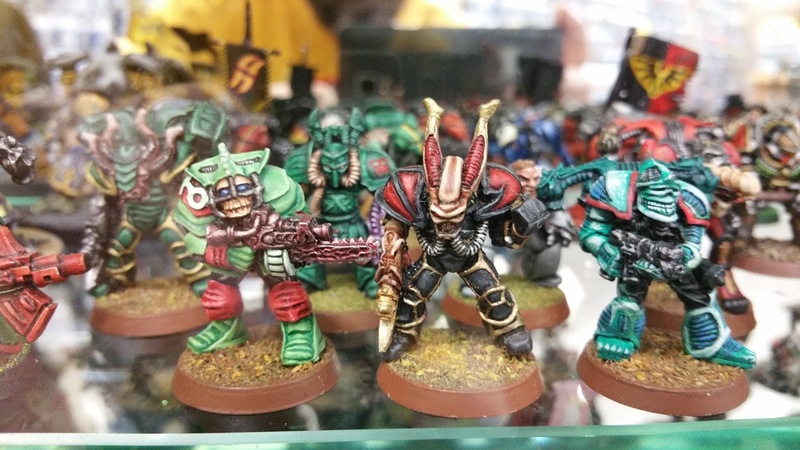 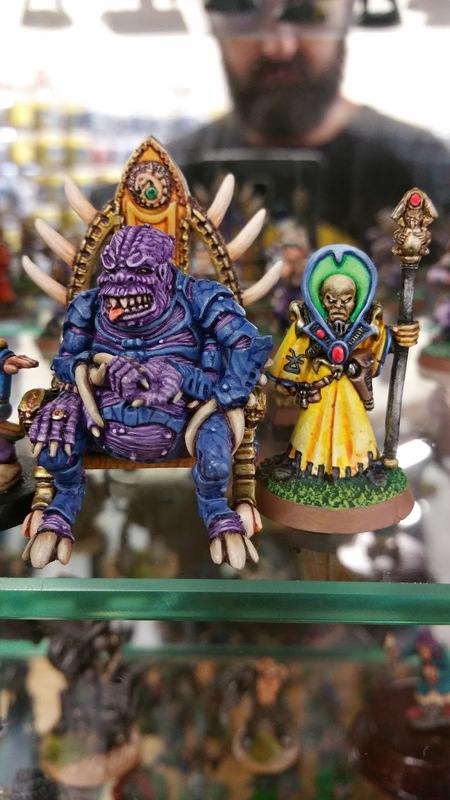 Things like the original genestealer cult army are just amazing to see right in front of you. 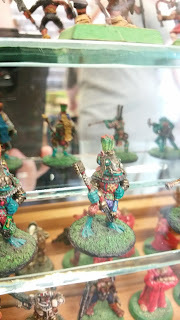 And as you mention Mr.P, the figures even have backs! Thanks man! 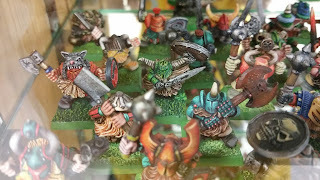 It was really quite overwhelming, looking at all those minis in the cabinets wasn't it! 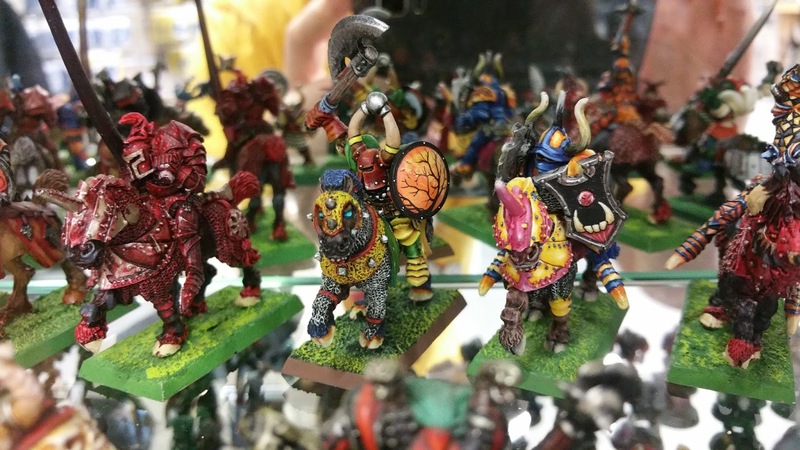 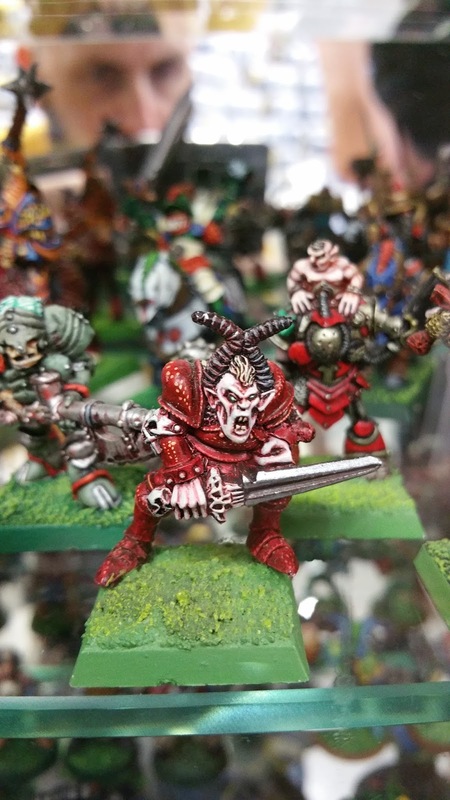 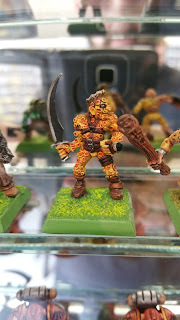 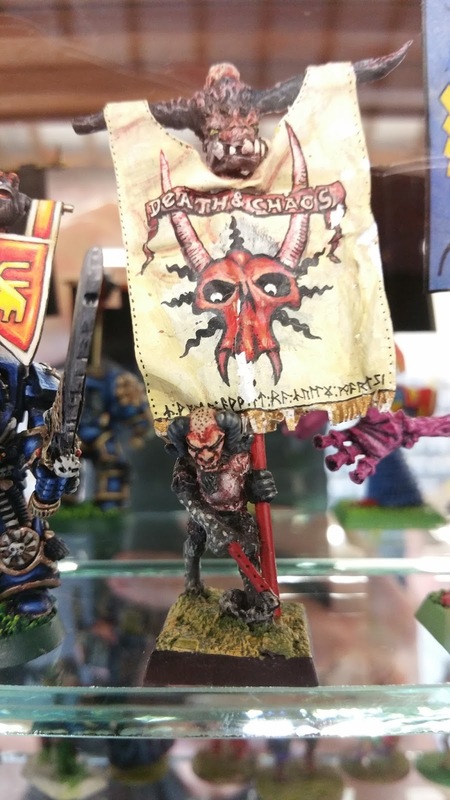 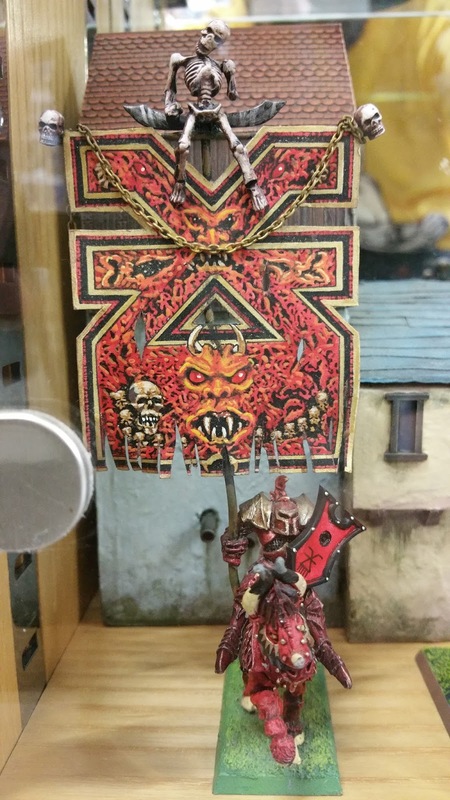 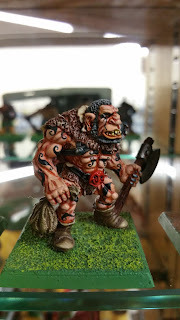 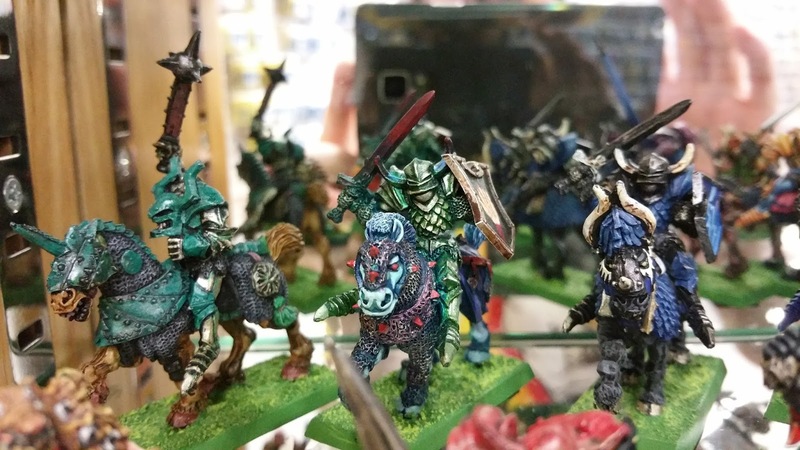 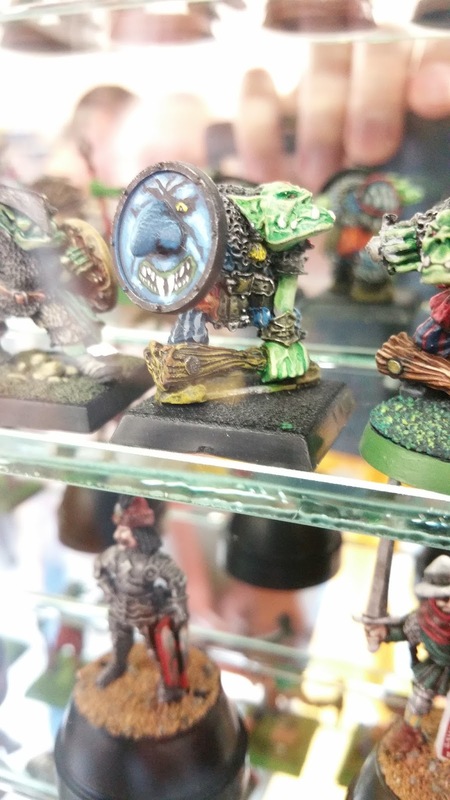 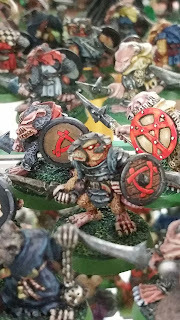 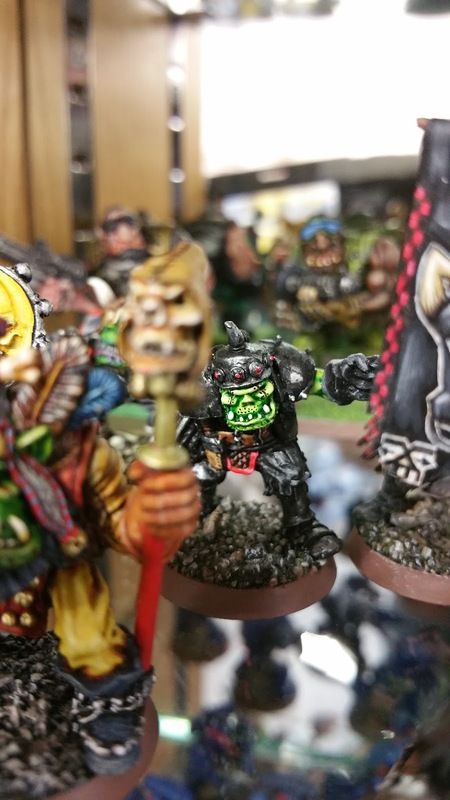 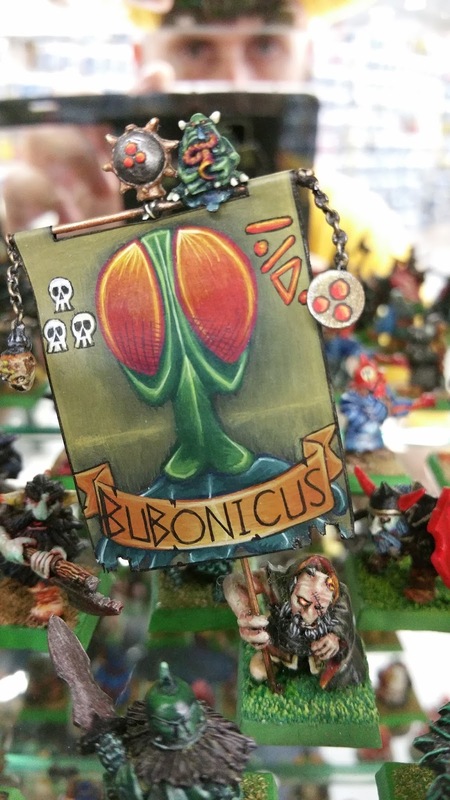 Considering the time period and the relatively new hobby of miniature painting, they still stand the test of time......by miles! 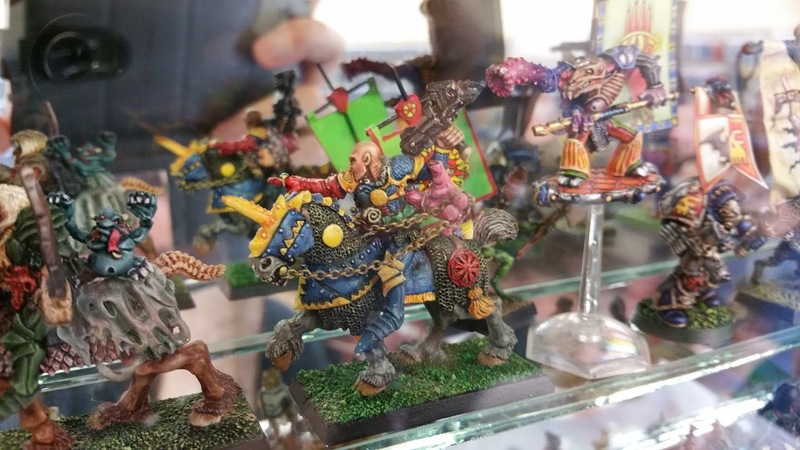 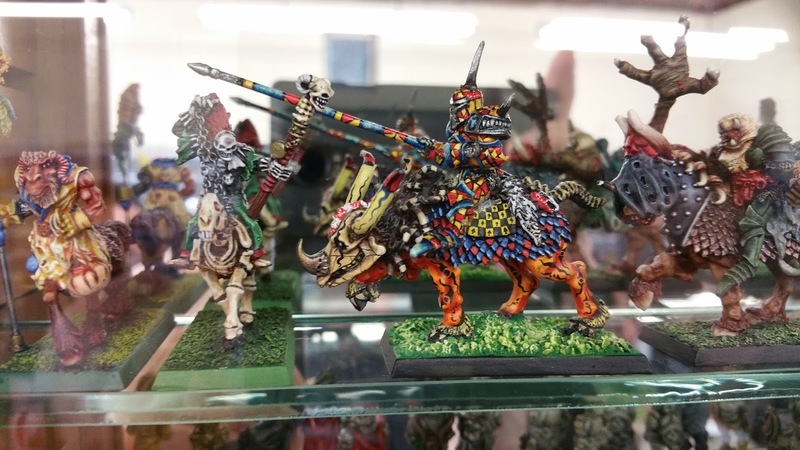 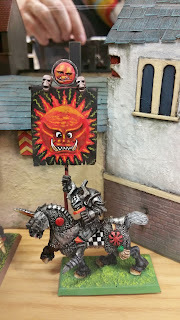 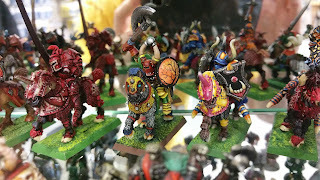 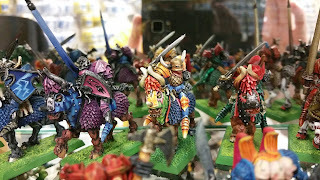 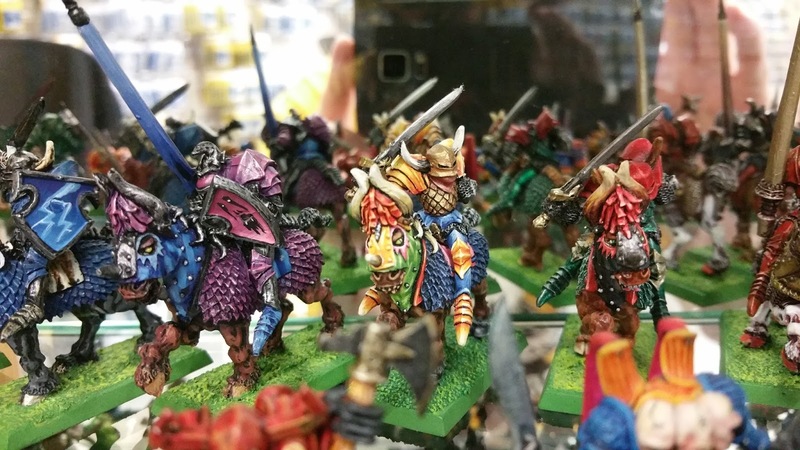 I love those brightly coloured chaos knights. 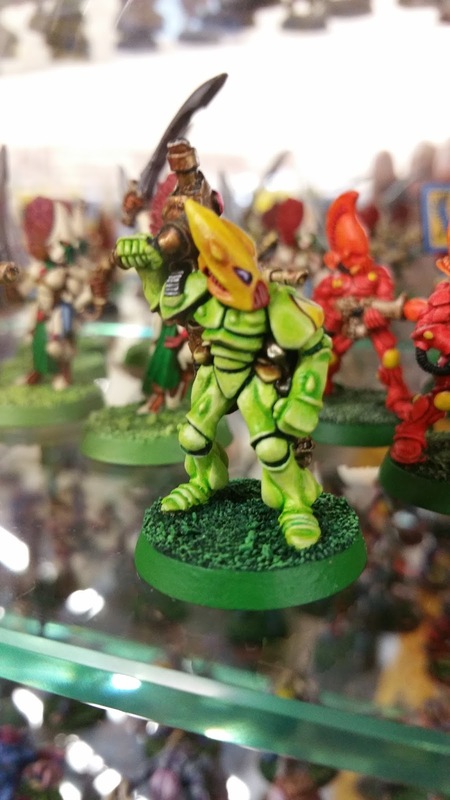 I've always thought they looked brilliant. 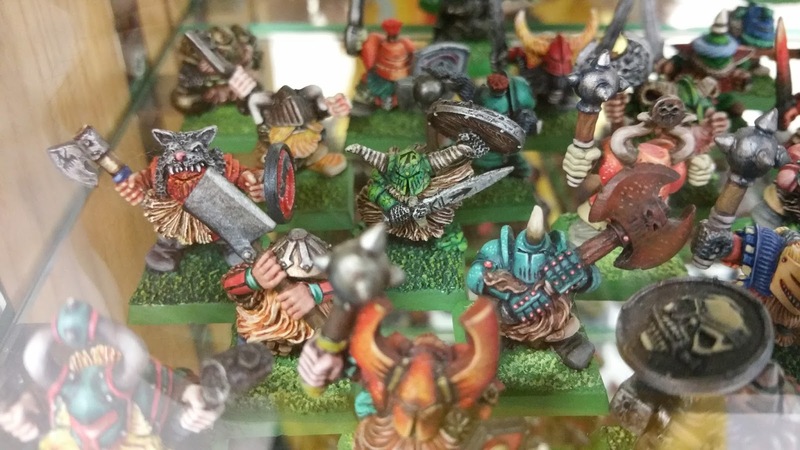 Something to do with how weighed-down they look. 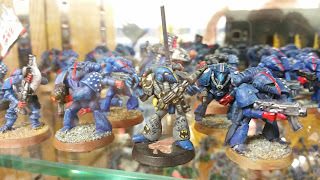 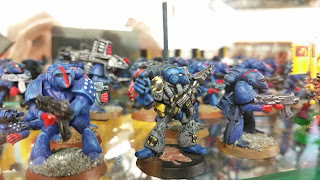 Interesting to see that Batman is still revered by the Crimson Fists. 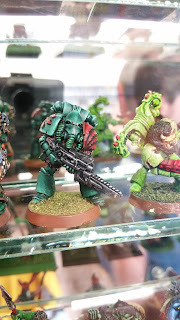 Excellent photos! 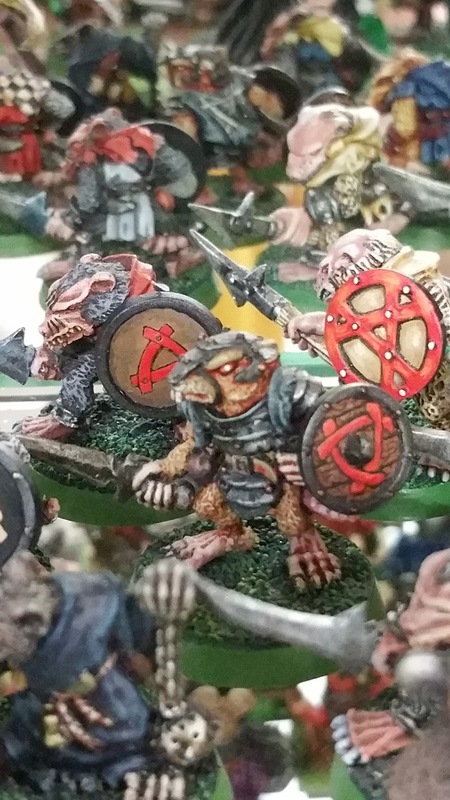 Glad you liked them Toby. 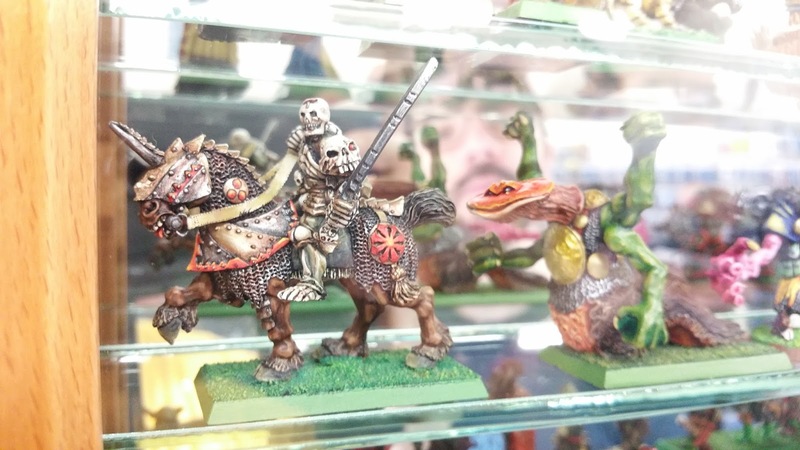 While I'm not into the oldness of the miniatures as much as some people, I really like the unpretentious quirkiness of it all. The occasional wonky sculpts or weird concepts just make them all the more likeable. And there's some excellent converting and painting in there. 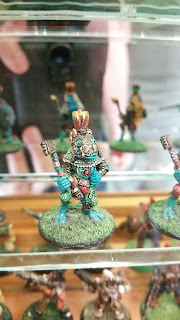 For me, these feel just as old school than a lot of the work being consciously done in John Blanche's style. They've got this complex, grotesque feel but they're also a lot of fun and aren't afraid to use very bright colour when needed. 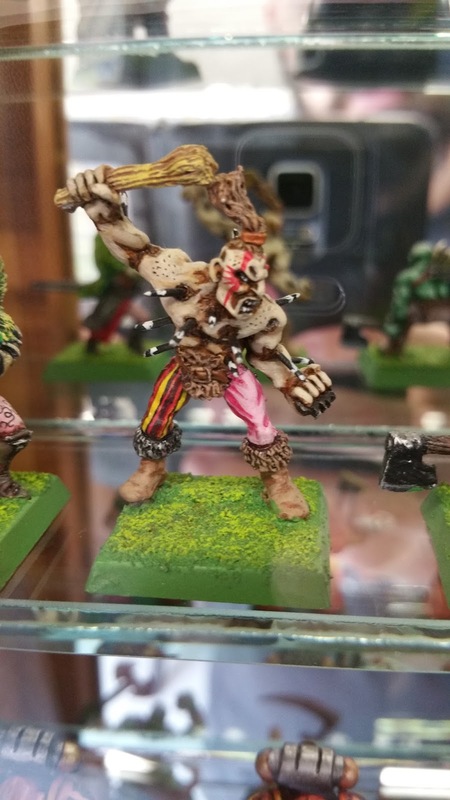 Characterful is definitely the word! I remember being awed by Tzeentch chaos knights when I was 13! 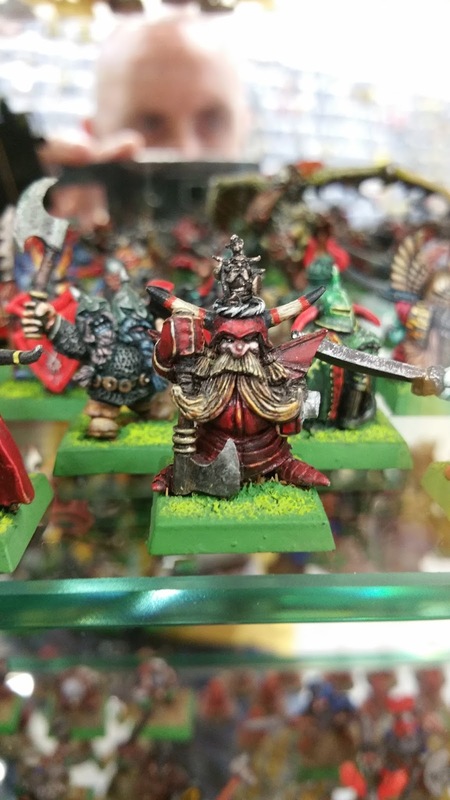 What a great dump, thanks for sharing ;) Also a mighty fine beard I can see, sir! 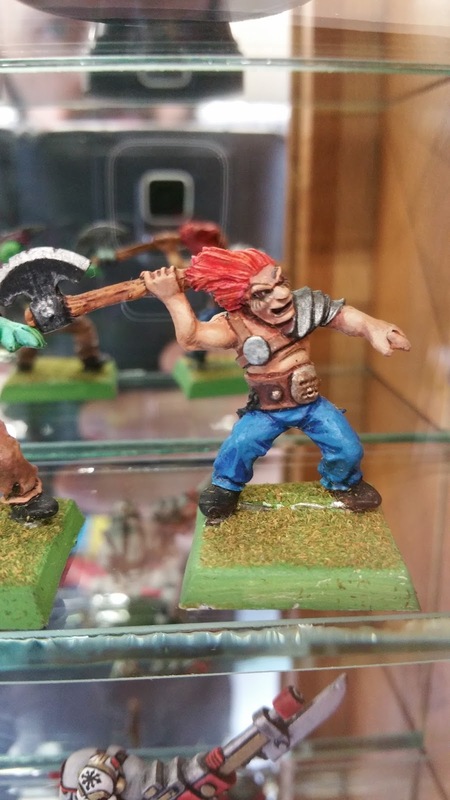 Some of that basing though, it's almost surreally bad in comparison to the paint jobs. Never mind eh. 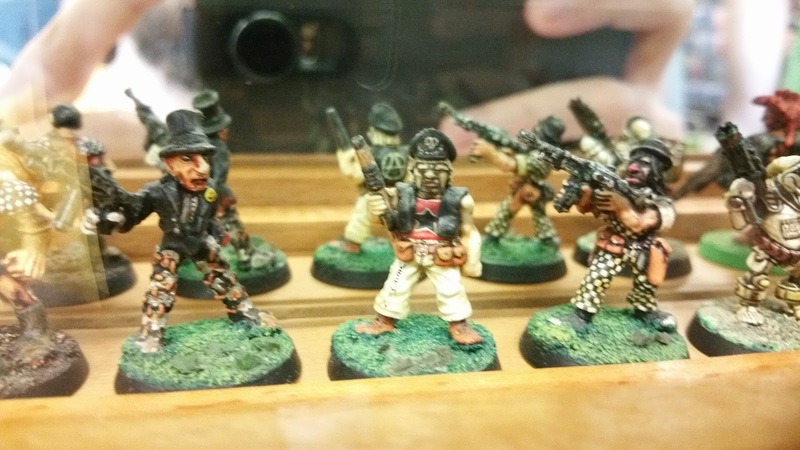 Yeah, the bases are terrible by today's standards I know. 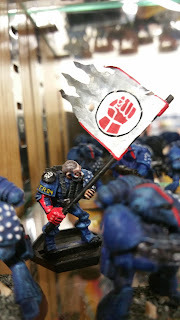 But as you said, the mini's still look great. 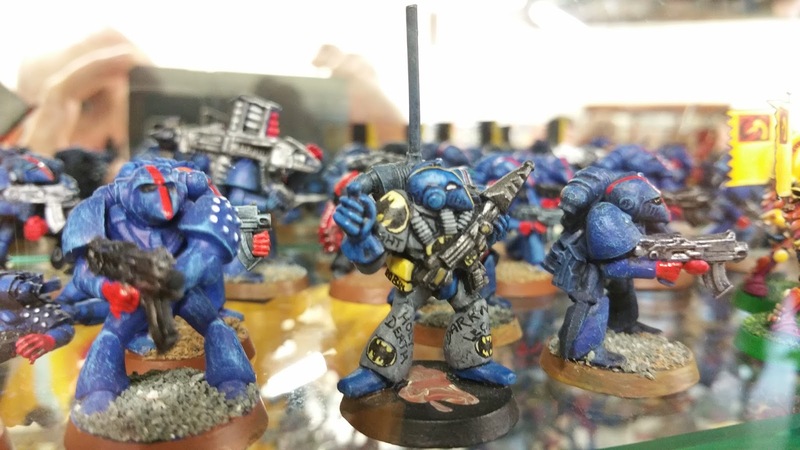 It may sound cliche, but they really do look better in person. 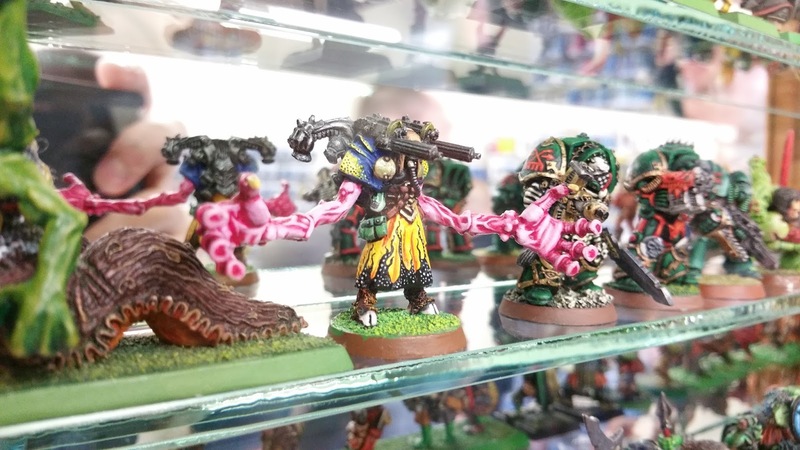 There is just so much to look at. 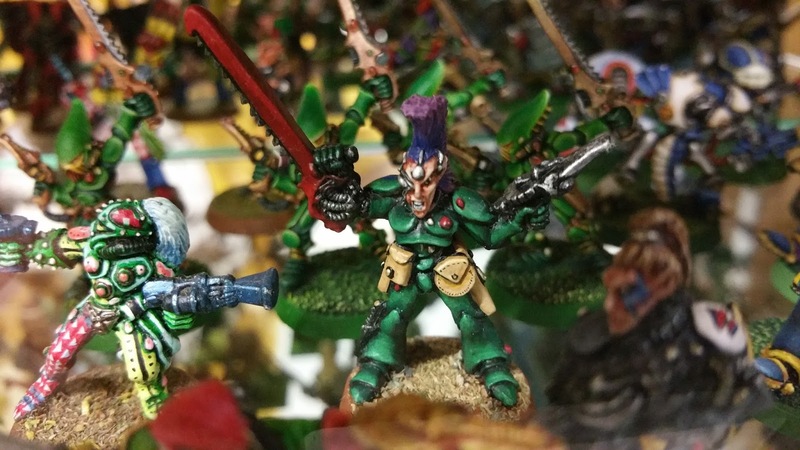 Thanks for sharing all these shots. 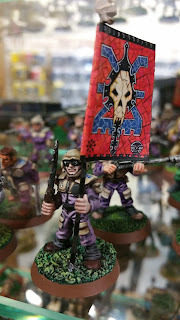 I'm glad you liked the glimpse into the past Major. 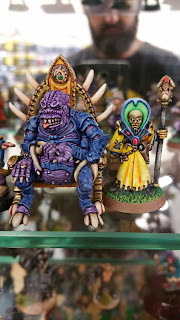 Blind date at Warhammer World. 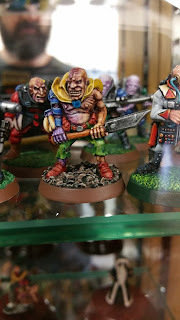 BOYL wrap up, in many stages.